RUSH: We have the continued fallout over the failed effort by the Democrats to destroy Donald Trump via the government shutdown on immigration, which is actually a shutdown on the budget. But this was a giant bomb. It was a bigger bomb than we even calculated yesterday. 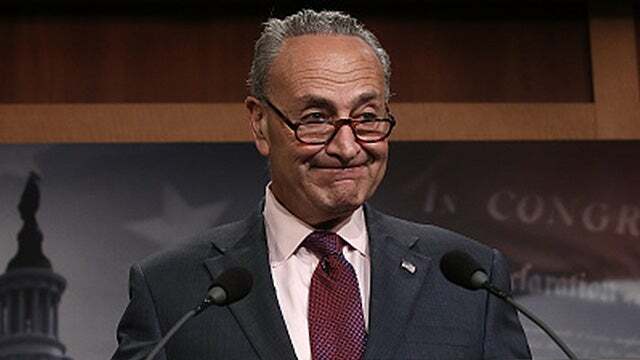 An afternoon and night of consulting the Drive-By Media indicates that they are so ashamed and so embarrassed by the performance of Schumer and the Democrats, they’re not holding back. They are launching into the Democrats about what a bonehead move it was. And they are writing about the Democrats the way Republicans are usually written about following government shutdowns, complete with stories featuring the Democrat base, that bunch of literal left-wing radicals fit to be tied over the Democrats blowing this. And it’s even better. The DREAMers themselves, this group of illegal immigrants, is also livid. And they’re speaking out as members of a special interest group as though they have as much credibility of credence as any other group of citizens have. And they are mad at the Democrats. They are mad. They don’t understand how this happened. They don’t understand why Chuck Schumer caved. It’s interesting. These people on the left are claiming that they’re getting tired of their leaders being a bunch of wusses who never fight back. Yeah, I read this… (laughing) It’s fascinating, ’cause that’s what our side thinks about our guys! And we think of Democrats that they’re constantly on offense and that they are never-ending. They’re so oppressive and that they never let up, that they’ve got their friends and buddies in the Drive-By Media to pound home all their distortions and their lies. And how our side quivers and cowers in the corner in fear over what the media might say about them. And to read these left-wing radicals describe Schumer as spineless and gutless? As a poltroon? It’s just delicious, folks. It’s just delectable out there. RUSH: By the way, a little addendum. I just saw a graphic on CNN, and it’s the first I’ve seen of this. I have to track it down. Look, the deal has always been… If you want to get mad at this, then I would understand it. The deal has always been — the Republican deal, the Trump deal has always been — some kind of amnesty for the DREAMers with a limit on chain migration in exchange for border wall funding. Everybody has known that’s what the ultimate deal is gonna be when it’s struck. This is what the White House offered the Democrats three different times, three different ways. The Democrats turned it all down because they thought the Republicans would cave on the shutdown like they always do because the media would hammer them — and, of course, it all went the other way. The Republicans didn’t cave. Trump didn’t even talk to ’em. They couldn’t even get hold of Trump! Jim Acosta at CNN was panicking. He couldn’t find Trump. Jim Acosta was worried that something had happened to Trump. Jim Acosta knows his career is over if Trump’s not around. Just like we have to redefine “smart,” we have to redefine “ending well.” What is “ending well” for Chuck Schumer? A government shutdown where the Republicans cave. Yes. In their minds. In their minds. That’s their playbook. Look. The Democrats have comfort levels on things they’ve done in the past that have worked. They’re not innovative. The evidence of this is they still don’t know how to deal with Trump. They still don’t know who Trump is — and for the life of them, they can’t best him. They can’t outsmart him, they can’t get ahead of him, so they’re going back to the old standbys in the playbook: “Government shutdown? Republicans get blamed!” How do you make that happen? You simply take what Trump wants off the table and you insist that we’re gonna get amnesty for the DREAMers and no chain migration or we’re gonna shut down the government for as long as it takes. They gotta shore up their base. If they lose their base, the midterms are irrelevant. They’ve got to hold on to their base. Now, holding onto their base is gonna do more damage to them elsewhere throughout the political spectrum, but they’ll deal with that later. This, to them, is getting to first base. If you don’t get to first base, you can’t score. They’ve got to get to first base. By that I mean they’ve got to put on their show for their radical leftist base, and that means full-fledged amnesty with no wall. No blueprints from a wall, no drawings, no nothing, no dreams of a wall, and certainly no wall for real. And then you tell Trump three weeks early. “Okay, Trump. No wall! No funding. No nothing for the wall. And we want full-fledged amnesty and chain for the DREAMers.” So we’re watching self-immolation. (interruption) Of course, it’s stupid, but you… (interruption) Are you having trouble grasping that they’ve got to… They’re losing their base over this. And if they lose their base, they’ve got nothing. What do they build from? You have to have something to build from. They are… (interruption) No, they still think they’re gonna win the House ’cause people hate Trump. No, no, no. Again, you’re making the mistake of trying to rationally analyze irrational people. Just step back from that and realize you can’t analyze them as you would analyze yourself in a rational decision-making process. They’re not rational right now. They’re panicked. They just lost a government shutdown. They lost it in the media! They lost it with their own voters! They lost it with the general public. Do you realize they do not know what that’s like? They’ve never been there! It’s Panic City! And when you panic, you react, you overreact, and that’s what we’re watching here. By the way, the generic ballot polls continue to tighten. The Democrats continue to lose the lead that they have. They still have it. It shut down cause they, quote-unquote, “ran out of money,” which is bogus. The government never runs out of money. They have a printing press. “But, Rush! But, Rush! There’s a debt limit.” Right. The debt limit. Whenever we reach it, they just increase it. There isn’t a debt limit. The government doesn’t run out of money. They can take anybody’s money any time they want. They can print money any time they want. But within the constraints of budgets — the way they are made and the rules and regulations — the government ran out of money. And the argument over what to do about immigration is why there was a reluctance on the Democrat side to sign a continuing resolution that would continue to fund the government. But it was a shutdown over the budget, not immigration. The media doesn’t want you to look at it that way. The media wants you to think — or wanted you to think — that the government shut down because Republicans hate immigrants. That’s the narrative. That’s always been the narrative, and that’s what’s so magnificent about this. That narrative blew up, and Democrats took full heat and responsibility for it. So this is Schumer trying to win back the good graces of that radical leftist base of his. They are fit to be tied. Folks, they’re not in this situation often. They don’t lose this thing. They never lose a shutdown fight! The media sees to it. The Republicans always lose it, and lose it for the worst of reasons. “They hate people! They hate the less fortunate! They hate victims!” It’s always that way. That’s why the Republicans always cowered in fear whenever a government shutdown has come up, and that’s why they’ve always caved on everything. Well, it’s a new sheriff in town. You know the drill. Trump says, “Screw this!” And the Democrats were offered three different versions of a bill that people on both sides said they wanted. And it’s interesting that both sides agreed to some kind of funding for border protection or a wall in exchange for limited amnesty for DREAMers and a few limits on chain migration — and if the Democrats had agreed to that, there would not have been a shutdown. But Chuck Schumer punted on everything he proposed because his purpose was to shut down the government. So now, Schumer and the Democrats are taking big time heat. So now they’re simply getting tough and they’re flexing their muscles and they’re saying, “All right. No funding for the wall and there will be no limits on chain migration! We want total amnesty for the DREAMers and we want chain migration to continue as it is,” and that’s their new position. As I explained to Mr. Snerdley, they have to hold on to their base. And their base by the way… Who do you think the Democrat Party base is, Mr. Snerdley? (interruption) He’s trying to download iOS 11. Did 11.2.5 ever show up for you? (interruption) Well, it will. Just hang in there, be tough. Has it shown up for you? (interruption) Well, it will. They just released it. It came…? (interruption) Well, true, but there’s somebody even more important than their base, and that’s the media. The media is their base first. When the media started dumping over them, that’s panic time in Chuck Schumer-ville. When the media starts beating ’em up? When the media starts telling the world how Chuck Schumer got rolled? I mean, that’s panic time. So they lost the media and then their lunatic fringe base. So this is gonna be interesting to watching ’cause it’s gonna come up again in three weeks. RUSH: This is Ken somewhere on Long Island in New York. Great to have you, sir. Hi. CALLER: Yeah, hi, Rush. It’s an honor and a privilege to talk to you. I’ve been listening since you were in New York eating at Patsy’s. RUSH: And then what will happen? RUSH: I think we have a bad connection. But I think I got the idea. 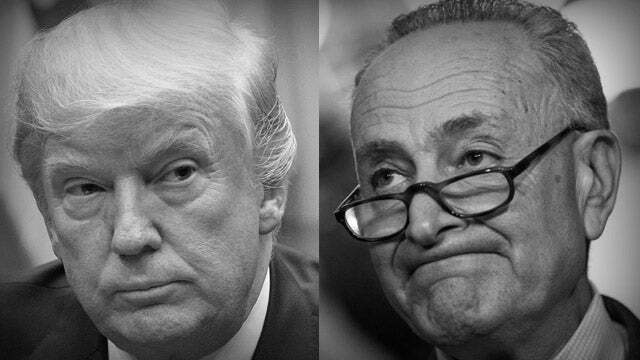 He wants Trump to go to the DREAMers and tell the DREAMers, “If you stick with Schumer you’re gonna get nothing ’cause the guy’s out of his mind, losing his mind, and is now making sure that you get nothing. If you stick with me, some of you are gonna get to stay, the rest of you are going back home, and none of your families are getting in. You pick which side you want”. What he wants is he wants Trump to play hardball with the DREAMers. Now, folks, I want you to stop here and… I referenced this yesterday, but I want to do this again. This guy Ken — who, by the way, knows of Patsy’s, on 56th between 8th and Broadway, a fantastic Italian restaurant. Still is. It was Sinatra’s place. 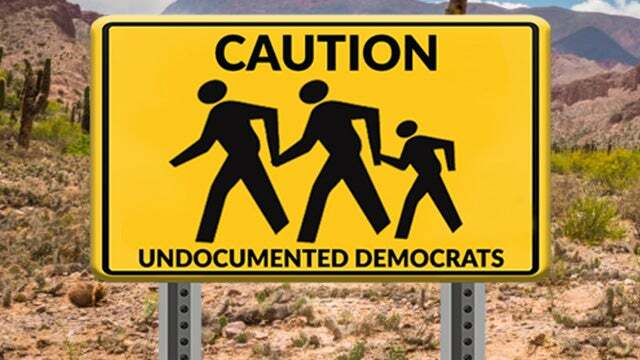 The DREAMers have become a verified, left-wing Democrat special interest group. Who are they? They are essentially illegal immigrants thought of as children — helpless, lovable, wonderful, children. “We must do it for the children.” They’re not kids anymore! Their into their mid-twenties and older. Some of them are in their thirties. But stop and think of this. The DREAMers have become like the NAALCP or Black Lives Matter or Big Labor or the feminazis or any other left-wing special interest group. But they are illegal immigrants, and the whole DREAMer deal is an unconstitutional deal that Obama announced that he did not have constitutional power to do.